Conference Series IIc Ltd takes the privilege to invite speakers, participants, students, delegates and exhibitors from across the globe to its premier World Conference on Agro-ecology and Crop Science . (Cropscience-agri-2019), to be held during October 9-10 in dublin ,Irealand. This revered conference will be focusing on the theme “Modern Exploration Technologies For Crop Production”. Conference Series IIc Ltd organize 3000+ Global Conference series Events inclusive of 600+ Conferences, 1200+ Workshops and 1200+ Symposiums Every Year across the USA, Europe & Asia with support from 1000 more scientific societies and 50000 eminent personalities. Cropscience-agri-2019 to be held in Ireland, Dublin with the theme of Crop Protection Education of the Future Generation. Argio is going to help the people who are directly or indirectly related to the Agro-ecology and Crop Science industry and academia. By this conference, people can share their views and ideas and how farmers do that and can improve their knowledge about the advanced techniques to increase the productivity of the industries. Cropscience-agri-2019 invites a common platform for Deans, Directors, Professors, Students, Research scholars and other participants including CEO, Consultant, Head of Management, Economist, and Project Manager from business and industrial sectors across the world in order to establish a scientific relation between academic experts and other participants through information sharing and networking. Experts around the globe are going to meet on one platform of Agro-ecology and Crop Science Conference to introduce advanced technologies and recent scientific explorations as well as future of agriculture and allied fields. Eminent speakers from all around the world are going to be united to introduce the most advanced researchers and technologies in Agriculture and other related fields. Cropscience-agri-2019 Conference also enables a chance to conduct a workshop, symposium and exhibition to emerge new possibilities in the Agricultural Fields and other related sectors of agriculture. This conference will provide the sponsors for the practical demonstration, product promotion and make a connection with eminent persons and other customers to receive new business line for future marketing. Agribusiness is the primary wellspring of the national economy for most developing nations. Be that as it may, for the created nations, farming contributes a little level of their national income. Agriculture is the biggest business all inclusive and been evaluated 62% expansion in nourishment request by 2050 is set to drive the blossoming farming business sector towards cutting edge innovations, promoting better yield and gainful development. Farming items like sugar, tea, rice, spices, tobacco, coffee and so on constitute the significant things of an expert of countries that depend on agriculture. In the event that there is a smooth improvement routine with regards to agriculture, imports are lessened while export increase impressively... This sum might be very much used to import other fundamental sources of info, hardware, crude material, and other foundation that is useful for the help of the nation's financial advancement. The development of chemicals to protect agricultural crops is an important activity. Without these chemicals, many crops would suffer dramatic losses. Herbicides that inhibit or kill the growth of unwanted plants. Insecticides that kill arthropod pests that is arthropods and mites. Fungicides that prevent or destroy the growth of pathogenic fungi. With members from around the world focused on learning about Agriculture Science and its advances; this is your best opportunity to reach the largest assemblage of participants from the Agro-ecology and Crop Science Conduct presentations, distribute information, meet with current and potential scientists, make a splash with new advancements and developments, and receive name recognition at this 2-day event. World-renowned speakers, the most recent techniques, developments, and the newest updates in Agriculture Science are hallmarks of this conference. Crop protection is the science and routine of regulating plant disease, weeds and diverse vermin (both vertebrate and invertebrate) that mischief agrarian yields and officer benefit.The yield plants may be hurt by dreadful little animals, fowls, rodents, minuscule creatures, et cetera. Crop Protection continues to play a major role in achieving targets of crops production. Every year farmers may face the damage done to crops by pests and diseases, according to data of the United Nations Food and Agricultural Organization (FAO), constitutes approximately 20-25 % of the potential World yield of food crops. These discoveries will lead to the creation of “smart” plants that are more resilient to Climate induced stresses. Better understanding of the fundamental biophysical processes controlling nanomaterial plant interactions will enable delivery of nano materials to precise locations in plants where they are needed to be active. The continuous real-time monitoring of plant heat status and the ability to combine these nano enabled technologies with wireless soil sensors and automated water and nutrient delivery systems can lead to more precise. 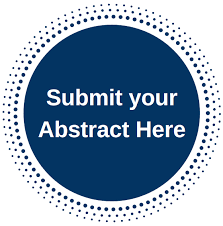 Recommended Conferences : Crop Science Conferences | Agriculture Conferences | CROP 2019 | Crop Protection Conferences | Agriculture Conferences 2018 | Agricultue and Horticulture Conferences. Breakthroughs in genomics, nanotechnology and robotics along with improvements in computational, statistical, and modeling capabilities will make it possible for scientist and producers to make well-informed, data-driven decisions. , development of high-throughput automated phenol typing capabilities can speed the process of breeding via the use of artificial intelligence and machine learning. However, in order to successfully model, manage, and predict crop production in any given location, better information is also needed on how different cropping management systems (e.g., use of cover crops and crop rotation) influence soil properties such as water storage capacity and nutrient availability. The emerging field of plant nano biotechnology promises transformative solutions for nondestructive monitoring of plant signaling pathways and metabolism .This can increase plant tolerance (e.g., drought, disease, and soil nutrient deficiencies ), alter photosynthesis and enable plants to communicate their biochemical status. Environment impact on agriculture is climate change, deforestation, irrigation problem, pollutants, soil degradation, and waste. Eventually, the natural effect relies upon the generation practices of the framework utilized by farmers. Agricultural conferences give a chance to analysts and researcher to investigate the progressed and most recent research advancements in the field of Agriculture and Environment. The discovery of gene-editing systems (such as CRISPR-Cas9) has revolutionized our ability to both understand and genetically modify both plants and animals .For crops, new alleles can be generated and introduced directly into a cultivar of choice, leaping over the time-consuming process of making multiple crosses to combine desirable traits in the progeny. Department of agriculture introduce Gene editing creates the potential to identify and implement new traits in the field on a much faster timescale. Traditional plant breeding is slow and tedious as it can only exploit the limited quantitative trait alleles found in wild relatives, and then it can take between 7 to 12 years to utilize conventional methods to develop a new cultivar (Baenziger et al., 2006). The ability to fine-tune the expression of a quantitative trait locus rather than utilizing only what is available in wild relatives has already shown promise as a way to increase yield. For example, researchers edited genes in three pathways that contribute to productivity in tomato plants-plant architecture, fruit size, and inflorescence to rapidly produce alleles that alter their promoters. The Knowledge of these “hitchhiking genes” is a necessary first step toward their eventual modification or elimination by gene-editing methodologies. Amaranthus tricolor seeds were purchased from the local market. Sowing of seeds was done by broadcasting. The seeds were mixed with light dried soil to enhance even distribution of the seeds. The seeds were thinned to 20 stands per plot. About 10 t haG1 of fresh poultry manure was cured for 2 weeks and incorporated into all the plots 2 weeks before planting to improve the soil N, P and K content when the initial soil sample showed that the soils were deficient in N, P and K (Table 1). Weeding was done manually with hand-held hoe 2 weeks after planting. The parameters determined were plants height, number of leaves, number of branches, leaf area, fresh weight, dry weight and moisture content. The N, P, K, Ca, Mg, Fe, Cu, Zn and Mn contents of the leaves were determined. Crude protein, fat, NFE, fibre and ash contents were also determined .The harvested plants from each plot were washed and transported in a well labeled envelope to the laboratory. The harvested plants were washed with distilled water and air-dried. The air-dried samples were packed inside well labeled envelopes and oven dried, at a low temperature until constant weights were recorded. The oven dried samples were allowed to cool inside a desiccator and grounded into powder. The grounded samples were then packed inside a cellophane nylon. The leaf N, P, K, Ca, Mg, Fe, Cu, Zn and Mn were analyzed from the wet digest of the leaf samples ,with their research they create many Agriculture jobs. The nutritional quality such as crude protein, NFE, fibre and ash content were determined using AOAC9 method. The nutrients uptake and nutritional quality of Amaranthus tricolor were determined at their final stages i.e., total harvest at 28 days, 1st ratoon at 42 days (1 time harvest) and 2nd ratoon at 58 days (2 times harvest) after sowing. Finding the one characteristic that can offer farmers an advantage is incredibly difficult and time-consuming. One main reason of plant breding is genetic diversity, Through generations of research and discovery, plant breeding has gone beyond selecting a parent plant simply based on its physical appearance and now includes an understanding of the genetic makeup of a plant. This allows plant breeders to better predict which plants will have a higher probably of success.Understanding the genetic markers in a plant’s DNA helps us know which plants carry traits that will help them combat environmental challenges like disease or drought. Microbes are found in nature. For example, soil is saturated with microorganisms, and a tablespoon of soil could contain around 50 billion of them.Microbes have also been used in our food for thousands of years. From bread to cheese, yogurt, beer, wine, vinegar, soy sauce, sauerkraut, injera, kimchi, and even the preparation of chocolate. Our food is delicious thanks in part to the presence and activity of microbes. In agriculture, folks are developing products containing microbes that can be applied to the surface of seeds and complement or provide an alternative to chemical agricultural products. Small variabilities in the quantity of ingredients can lead to huge differences in taste and texture. Just like we use measuring cups and spoons to maintain precision when baking, farmers use data science to decide how much water, fertilizer, and other inputs are needed to grow and harvest the best crop.In sustainable agriculture data science offers huge potential for farmers; the more easily farmers can see and understand what’s happening in their field, the better able they are to make sustainable choices, both as a steward of the land and as a business owner. This industry report analyzes the global markets for Crop Protection Chemicals across all the given segments on global as well as regional levels presented in the research scope. 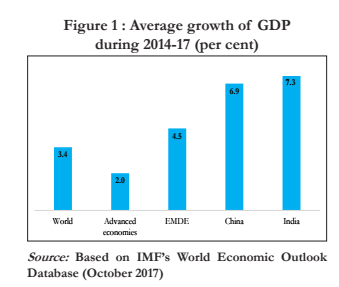 The study provides historical market data for 2013, 2014 revenue estimations are presented for 2015 and forecasts from 2016 till 2025.The study focuses on market trends, leading players, supply chain trends, technological innovations, key developments, and future strategies. With comprehensive market assessment across the major geographies such as North America, Europe, Asia Pacific, Middle East, Latin America and Rest of the world the report is a valuable asset for the existing players, new entrants and the future investors. GDP From Agriculture in Ireland increased to 567 EUR Million in the fourth quarter of 2018 from 563 EUR Million in the third quarter of 2018. GDP From Agriculture in Ireland averaged 511.04 EUR Million from 1995 until 2018, reaching an all time high of 684 EUR Million in the third quarter of 2017 and a record low of 307 EUR Million in the first quarter of 2013.The agri-food sector in Ireland in 2016 generated 7% of gross value added (€13.9 billion), 9.8% of Ireland’s merchandise exports and provided 8.5% of national employment. 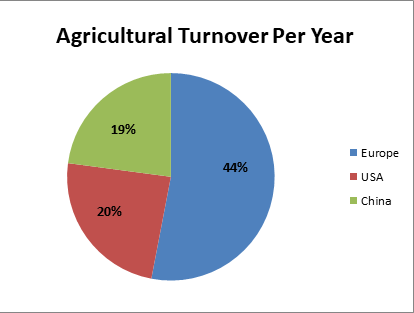 When employment in inputs, processing and marketing is included, the agri-food sector accounts for almost 10% of employment. The 14th annual conference on Crop science and Agriculture (Crop Science 2018), hosted by conference series took place at Bali,Indonesia during November29-30, 2018. It was organised by Me conference and generous response from the Editorial Board Members of our supporting journals as well as from eminent scientists, talented researchers and young student community. Reaserchers and students who attended from different parts of the world made the conference one of the most successful and productive events in 2018 from Me conference. The program witnessed thought provoking keynote and plenary presentations from experts in the field of Cell Therapy, highlighting the theme, “Exploring New Trends in Agricultural Practices and Crop Science”. We would like to acknowledge our sincere thanks and support to our honorable organizing committee members, scientists, researchers, as well as experts from Non-government organizations, and students from diverse groups who made this conference as one of the most successful and productive events in 2018 from Me conference.